Knowing your ResRequest system well is key to effectively running your business and departments. We want to give you great tools and the opportunity to upskill yourself on ResRequest. Use our new ResRequest support website to learn about the system in your own time or refer to it whenever you have a question. We’re adding to this site all the time so there are lots of tutorials you’ll find useful even if you are an advanced user. 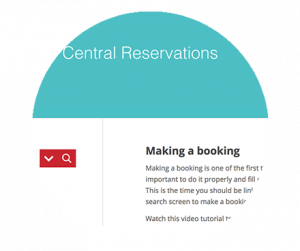 Learn the reservation basics in the Central Reservations module which has been designed specifically for the reservationist. Get to know how to navigate around the system, make bookings, manage booking communications and accounts. Use the Property Management module to learn how to manage your front-of-house operations while working with a Property server. How to offer online bookings? 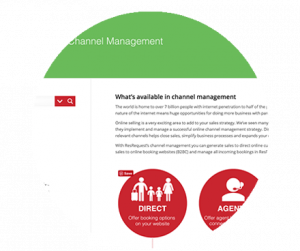 Learn how to show your ResRequest availability online with our Channel Management module. Take a look at how you can receive bookings from your website, distribute your stock to your favourite agents and even sell on established OTAs. How to use ResRequest add-ons? Learn more about ResRequest’s free add-on products like ResConnect and ResNova. Get to know what agent connections are available to you through ResConnect and how to connect to them. 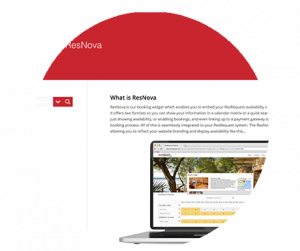 Learn how to use and set up ResNova’s website booking widget so you can show availability on your website. How to set user access? If you’re the system administrator then the System setup functions can show you how to create new code tables, such as Extras and Rate types, or set user access for a new user. 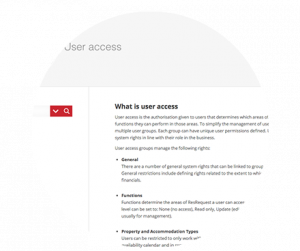 The module includes basic tutorials like creating report profiles for different user groups, as well as more complex guides such as setting defaults to implement system wide changes.